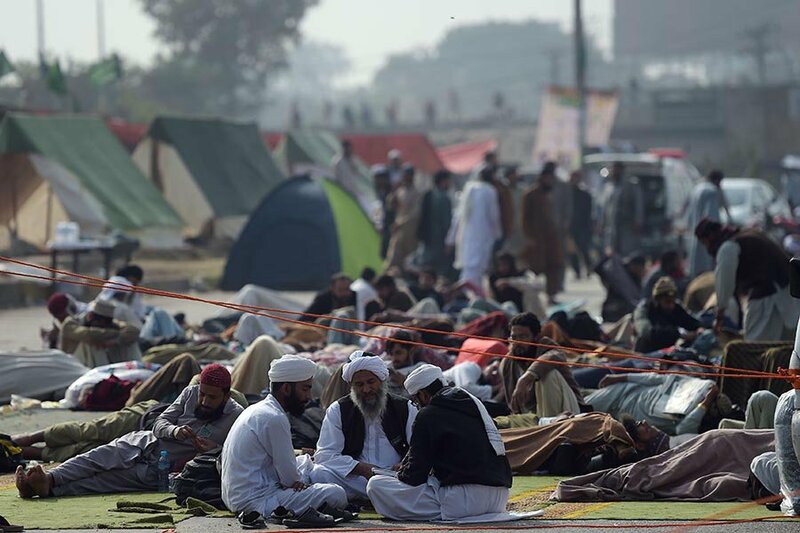 It has been two weeks since the protesters from various religious parties occupied Faizabad interchange. The interchange is the route used by the residents of twin cities Islamabad and Rawalpindi. 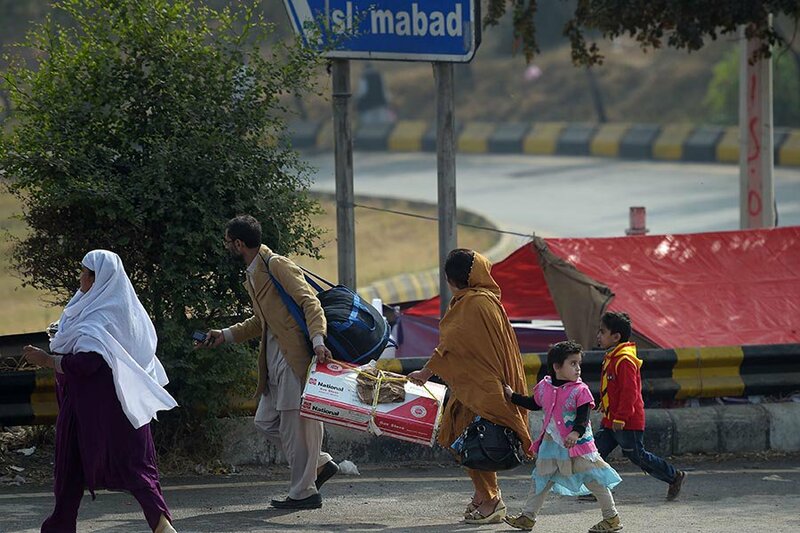 Due to the occupation of Faizabad, the lives of residents have been paralyzed since it blocks the primary path linking both cities. The issue which has ignited various protests throughout the country is related to the change in the Khatam-e-Nabuwwat clause in election laws. The original clause was put in its right place after calling the issue “a clerical mistake”. The only demand of the protesters is the removal of the Law Minister Zahid Hamid and all other people involved in this change in the finality of Prophethood clause which was reverted. 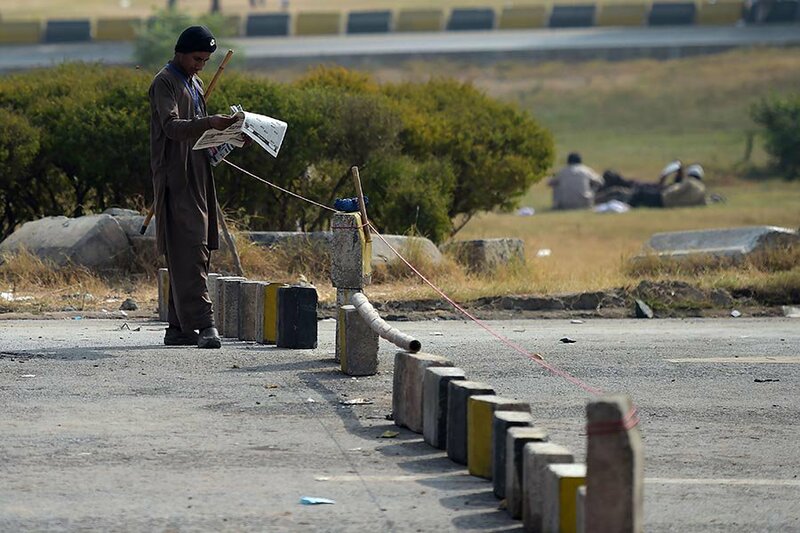 On Thursday, the Islamabad High Court (IHC) had given the protesters notice to vacate the premises but till now no protester has left the area. The most surprising thing is that there are hardly a few thousand protesters which can be easily controlled by a covert operation but the police have decided not to take any action against the protesters which is shocking. 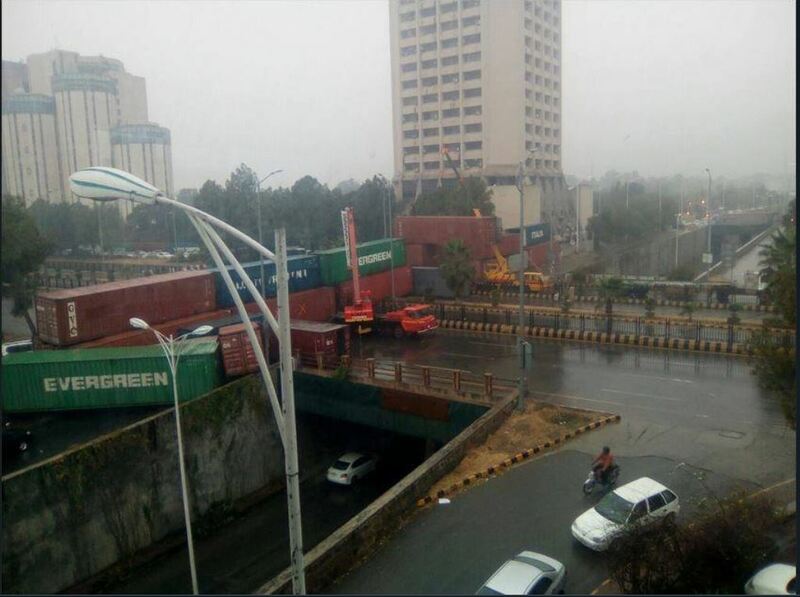 Blue Area or Karachi sea port? 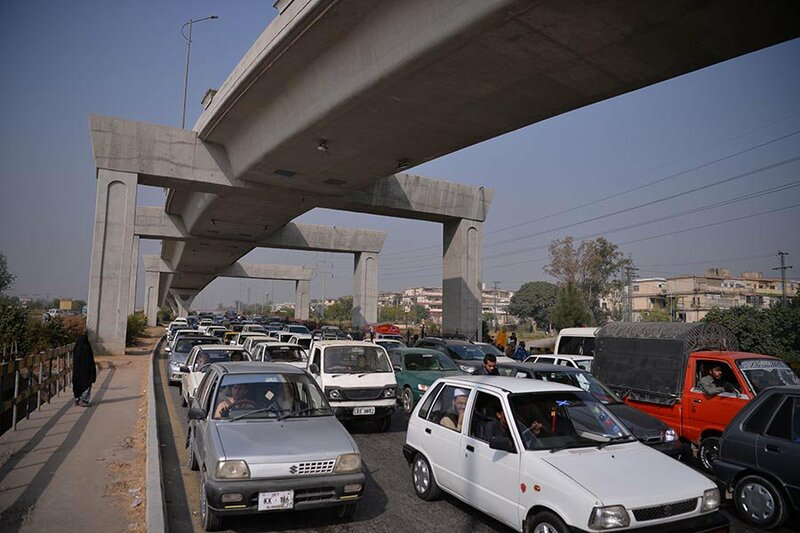 Similar traffic condition in Rawalpindi. Protesters can be seen resting. A family crossing the road where the road is blocked. Commuting in and out of Islamabad has become difficult. A religious activist reading a newspaper. 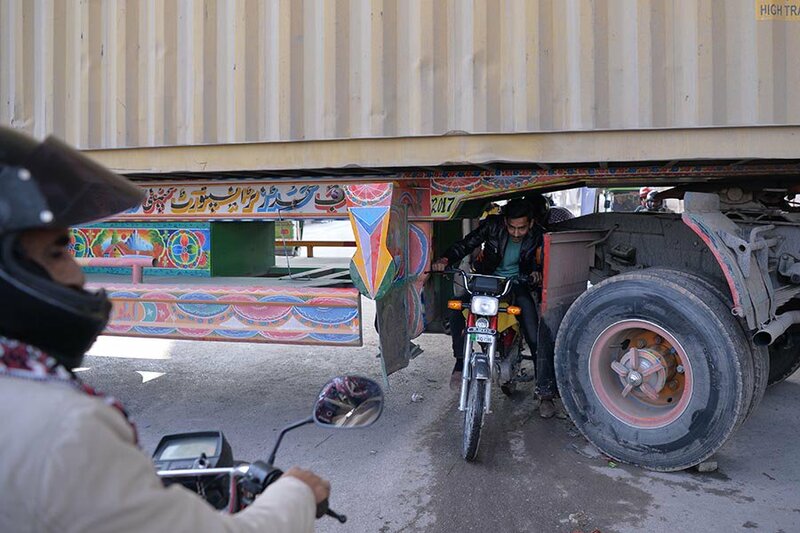 Motorcyclist finding desi ways to avoid blocked roads. Traffic from IJP road is diverted to 9th Avenue. pur molvee ty uj kul nikkay bachyan nu yaah ry ny. tons of videos as proof nowadays. beta ja kar apni patloon saaf karo ab. molvee aur aalim mein zameen aasmaan ka farq hai. This much should be sufficient to smoother your fidgets. (these 24 karat gold laden words were said in punjabi, urdu and english). Ap jb kisi molvi ko follow karthy ho to just 1 day investigation ki hai. Us bandhy mi kya qualities hai, us ni ilam kaha si hasil kea, us ki routine life kya hai. Bhai Islam is not as easy as you consider. Or ye sb batain ap ki poori life effect karti hai. Hamara masla yahi hai k baghair thahkeeq k kch b follow kar lethy hai. Ab in protesters ki example lo. Ap jo in ko support kar rhy ho, in mi kon log hai. In logo mi kithny % Aalim and Mofthi hai. Or agr hai b to kaha si ilam hasil kea. Kya usy Govt Pakistan ki registered institute si koi degree mili?? Think all these matters before defending these people. tu bhai PTI k jalsa me kanjar khana hota tha ortein nachti songs lgty or b bht kuch hota rha app ko b pta hai but yaha 5 wakt Namaz b perhi ja rye Darood b perh ja rhy or 1 b orat dikha do.. Galt ko km se km galt kehna tu seekho. And it didn’t disrupt anything right, bring me more excuses please or grow up. I think writer wasn’t born before December 2014 otherwise he could see dharna of PTI and how it effected work of ministries, government and commute of public for 4 months. Last picture is not from Faizabad but from D Chowk I believe. 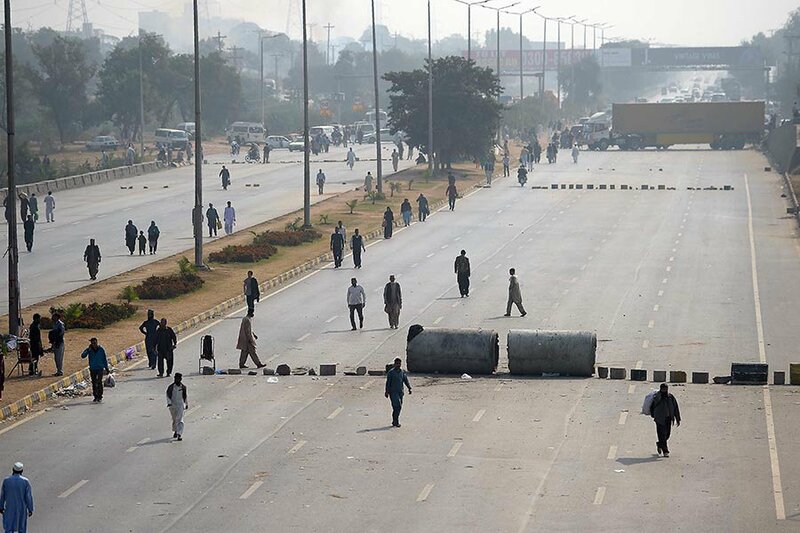 Khan’s dharna was at D-Chowk not on Faizabad. Due to closure of Faizabad traveling between Rawalpindi and Islamabad is impossible and residents of twin cities are suffering badly. Wo bhi ghalat tha or yeh bhi. Or yeh bat bhi yaad rakhain deen pr chalnay walo k is tra k amal say un logo main jo deen pr nahi chaltay mazeed deen say dori peda ho gi. Is is mazeed badeeni k zemaydar yahi dhernay walay hun gay. What a shame. What kind of jehaalat and stubbornness on the name of Islam . 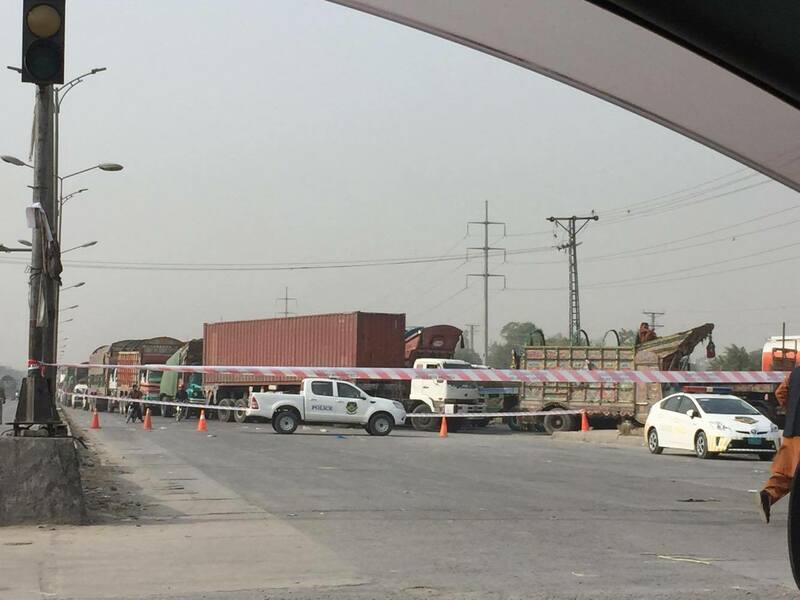 There is no religion in the world that direct for blocking the roads, making the life of public painful and depriving public from their basic rights. U wish these jaahil maulvees and their supporters be crushed. I really appreciate this comment from you! Libtard, libtard and libtard again, root of all evil. In PAK, GOD willing libtard will never succeed, GOD willing! Due to closure of Faizabad traveling between islamabad and rawalpindi is impossible and residents of twin cities are suffering badly. Konsa islam hai jis mn logon ko pareshan karna haq hai? imran ka dharna, islamabad kay eik kaunay mein tha.. woh jagah pehlay hee traffic kay liye band thi.. it did not stop anyone or anything..
swearing and cursing to support a cause related to Prophet PBUH is not acceptable..
like u must be the 1st one. These are true monsters of our society, a gift from general zia and pampered by dictators. Hahahaa, Yaar level hai wesy..
Kaaba kis munh se jaogay Ghaalib sharam magar tm ko nhi ati..
Or afsos ki baat yeh hai k yeh sab kuch us Azeem Hasti (SAW) k naam pr ho raha hai jo rastay say pathar or kanta bhi hta detay thay k kisi ko takleef na ho. Or yaha kai din say sarkain block kr k khalaq e khuda ko takleef ponchai ja rahi hai. Allah muslmano ko Sunnat Rasool (SAW) ko smjhnay or us pr amal krnay ki toufiq ata fermaey.